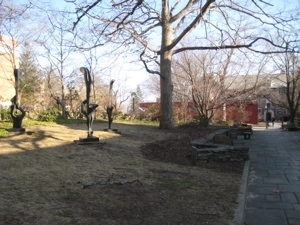 The William Benton Museum is a Connecticut Art Trail site. 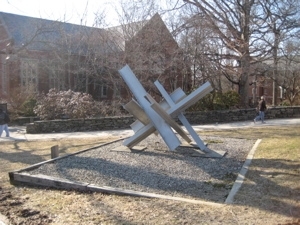 I’d been to one of Yale’s two large art museums (my visit to Yale’s art gallery) and a couple smaller galleries at Wesleyan. I wondered how our flagship pubilc University would stack up? 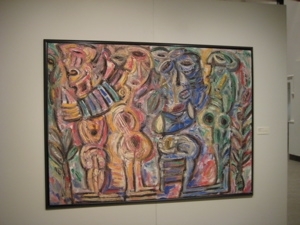 Actually, I didn’t wonder much at all, as the Benton Museum is one of the three – count ’em, THREE – Connecticut museums I’d been to before starting this blog’s quest. (The other two are the Mystic Aquarium and Mystic Seaport – and I was a little kid then). Yes, I ventured into the Benton when I was a student at UConn. As an aside, my brother-in-law was a security guard there back in the late 80’s. 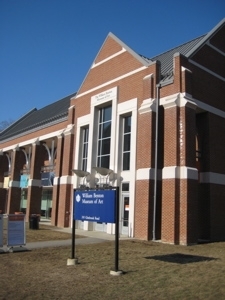 The Benton is much, much smaller than Yale’s major art museums and the building it’s housed in is old, slightly dilapidated, and architecturally boring. 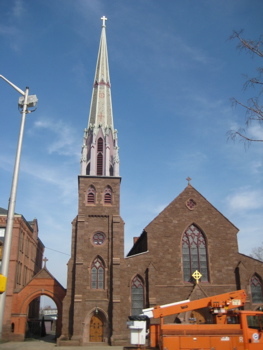 Yale’s are in world-class modernist buildings designed by world-class architects. Note: Yale costs twice as much as UConn. And for every president and statesman Yale produces, I’ll raise you with richer NBA players. So there. The most upsetting thing about the Benton is that budget cuts may force it to close soon. As I made my way across campus visiting several museums on this day, I marveled at how much money had been poured into UConn’s infrastructure. It’s a beautiful school now (notsomuch back in the early 90’s when yours truly attended) so it’s a bit of a mystery to my why the art museum (and the natural history museum) have been pegged as money drains. It was actually the threatened closure that took me to Storrs for a day of museums. I wanted to be sure I got into the Benton should it actually close someday. I can’t say “it’s exactly as I remembered it” because they’ve done a lot of positive cosmetic improvement to the building. Heck, they even added a nice little cafe and a bright, open stairwell up to the exhibits. But the best part remains: It’s free. But getting back to the Benton’s architecture for a moment, its history is pretty interesting: The William Benton Museum of Art opened officially in 1967, but its roots go back to the early twentieth century and the days of the Connecticut Agricultural College, which evolved into the University of Connecticut. The building that housed the original Museum was constructed in 1920 and served as The Beanery, the campus’ main dining hall until the mid-1940s. 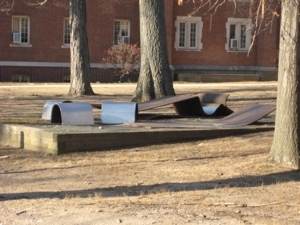 The small, elegantly designed College Gothic structure, with its gracious sculpture garden, is among the core campus buildings that are listed on the National Register of Historic Places. The Museum collection traces its beginnings to College President Charles Lewis Beach who bequeathed his impressive holdings of American art to the University on his death in 1933, along with a trust fund for future acquisitions. 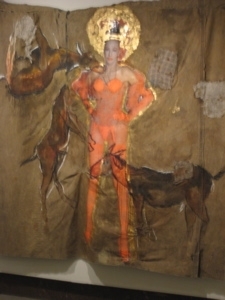 It was President Beach’s intent that the collection “instill and cultivate an appreciation of works of art in the student body of the College and in such other persons as may avail themselves of said collection.” This original collection included works by Childe Hassam, Henry Ward Ranger, Emil Carlson, Charles H. Davis, Ernest Lawson and Guy Wiggins. It is my own failing that I’ve not heard of a single one of those artists. I don’t feel so bad about not knowing who the museum’s namesake was, however. Even though he was a pretty cool guy. You can read a bit about him here and some more in the links below, but to sum up: He offered a resolution to expel Joe McCarthy from the Senate, he actually defeated a Bush for a Connecticut senate seat (what?! They’re not from Texas?! ), owned the Encyclopedia Brittanica, and published literature in different languages. 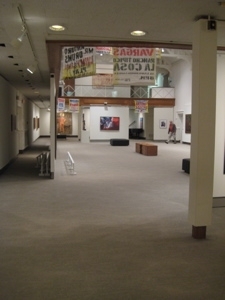 There were two exhibits during my visit (as there always are). 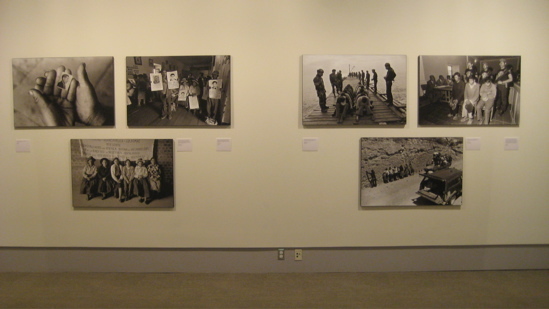 The first one was a photography exhibit titled Yuyanapaq: To Remember. 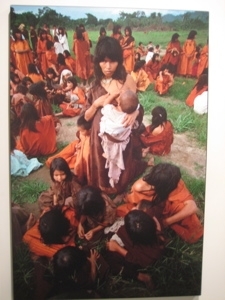 I’d just been upset by the Ukranian Starvation plan at The Dodd Center and now it was time to learn about – and feel awful about – the extreme political violence that consumed the Peruvian nation between 1980 and 2000. These two decades saw an outbreak of violence that involved insurgents, state armed forces, paramilitary groups, and peasantsâ€™ self-defense organizations. 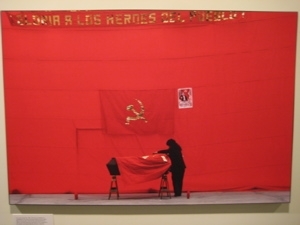 It was instigated by the Maoist organization, known as â€œShining Path,â€ and justified as a revolutionary uprising against the Peruvian state. While Shining Path rejected, in general, the idea of human rights as â€œbourgeois, reactionary, counterrevolutionary rights, [which] are today a weapon of revisionists and imperialists, principally Yankee imperialists,â€ the government likewise committed human rights violations, although fewer in number and on a lesser scale. In 2003 the Peruvian Truth and Reconciliation Commission issued a report that estimated that 69,280 Peruvians lost their lives during this period. 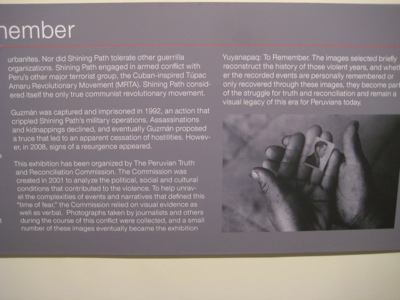 As part of the Truth Commissionâ€™s effort to document the history of this period and depict the ways in which violence impacted on Peruviansâ€™ daily lives, an exhibition of 250 photographs was created from more than 90 archives belonging to different media outlets, news agencies, military institutions, human right organizations, and private collections. 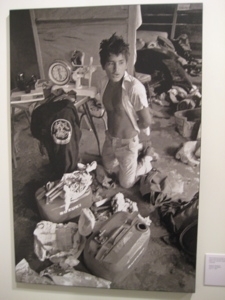 A traveling exhibition of 40 photographs was organized in 2004 and has been shown in Mexico, Italy, Spain, and Switzerland. The photos were excellent and compelling – and some were disturbing. It’s amazing that we live in such a bubble in the US. 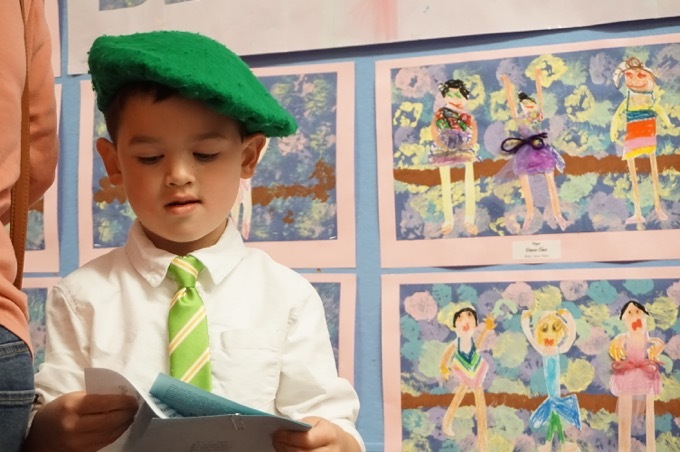 Heck, my father-in-law was a high ranking military officer for the Vietnamese nationalist army who had to flee his country, leaving his baby daughter behind, because of crap like this. Our world can be an ugly place. 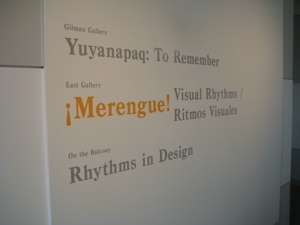 The other exhibit during my visit was calledMerengue! Visual Rhythms. 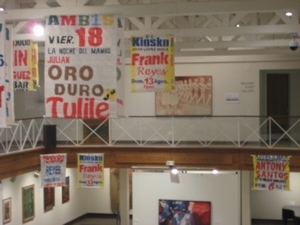 This is the first exhibition to explore the historical role merengue has played as a fundamental cultural axis, a form of communication and a symbol in the visual arts of the Dominican Republic. Quite a departure, except for the Spanish speaking part. I wasn’t really into that much to be honest with you. I was sad that the Benton may close and sad about Peru’s all-too-recent plight. Merengue-as-art just didn’t seem to fit my mood. But you can read more about it here. This metal thing allows for one to jump really high off of it. It’s fun and I used to stop for a hop on my way class all the time. I’m guessing this is a Calder. He lived in Connecticut, you know (Roxbury). How did I know that last one? Because I picked up a booklet at the museum called “KEEPSAKE” which offers a trail, of sorts, of the University of Connecticut’s public art collection. 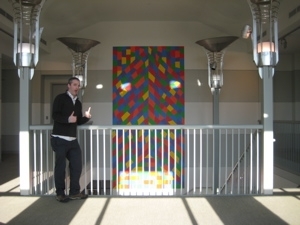 The trail contains 30 pieces of public art located all around the state; from Storrs to Avery Point to Torrington and the UConn Health Center in Farmington. It’s rather cool – and yes, I’ll be trying to find them all. You can check my progress here. I’m confident the Benton will survive. Workers were restoring portions of the building during my visit and according to their website, they plan to keep on moving forward. With its rich and long history, and always-changing exhibits, the Benton is a definite stop during your own day at UConn. I sure hope they keep it. 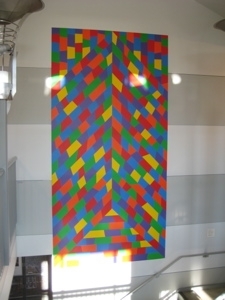 I can remember when I was at UConn I would sometimes be wondering what to do with myself on an afternoon and deciding to check out the current exhibit at the Benton. It’s a great asset to the University.